Jacob Brauner, a Cinco Ranch High School Student, has been a dedicated ESN Health client since February 2016. Jacob has dropped 9 pounds, lost almost 9 total inches (while adding inches to his chest and biceps), and decreased his body fat percentage by 13.6%! 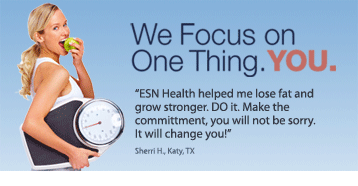 Jacob turned to ESN Health looking for motivation to get started on a regular exercise program that would ultimately increase his strength and stamina. 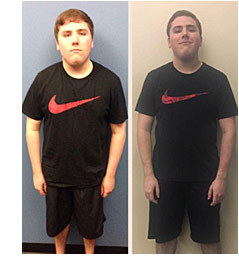 In 5 months he had not only gained strength and stamina but was looking better physically and thinking better mentally! Jacob continues to look for guidance from his ESN Coaches that have kept him motivated to workout and eat better throughout his journey! His new goals consist of gaining more strength and increasing his muscle definition.